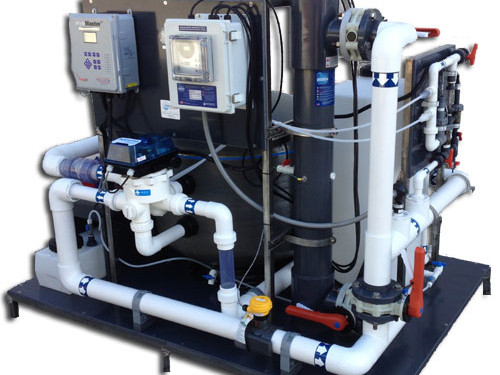 IAS Products | Integrated Aqua Systems / IAS Products provide a complete selection of water handling equipment and custom skid mounted filtration & tank systems for aquaculture research, ponds, water features, aquarium exhibits, zoos, and aquatic research labs. IAS is proud to introduce the MiniPac, an engineered heat transfer system that can be customized for heating and chilling applications up to 400,000 BTUH in a 17″ x 12″ footprint! Plate heat exchangers have the advantage of adjustability for lower pressure drop and higher transfer area unlike fixed tube-in-shell heat exchangers. 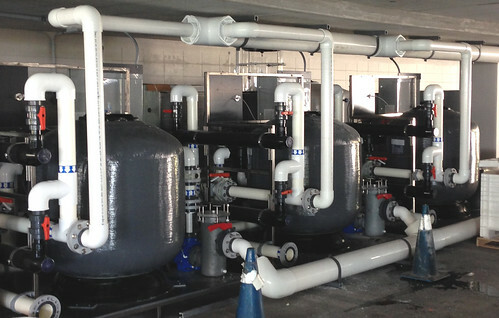 Now the advantages of plate heat exchangers can be utilized in smaller aquatic systems. 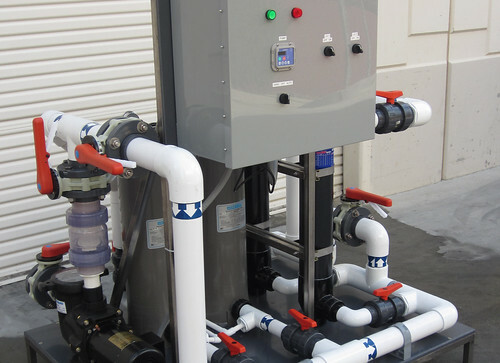 MiniPac includes an EDPM gasketed Titanium or Stainless Steel Plate Heat Exchanger (PHE), digital temp controller, flow control device with balancing valve, strainer, and flow meter all pre-plumbed onto a compact skid package making these a great space saver in any application. Floor or wall mounting make it versatile and a perfect fit onto INTEGRATED™ IFS systems. Large flow-rate range and minimal pressure loss means these units can be added inline or as a side loop, without a complete system redesign. Expandable systems, and wide BTU/h output means more “bang for your buck”, and adaptability as facility/ habitat needs increase. MiniPac can be ordered with either a pump or electrical flow control valve, temp control options including: 0-10v DC output for VFD speed control, or electronic valve positioning. 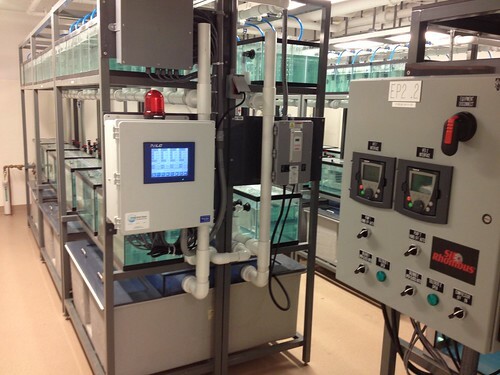 The minipac is exclusively configured for the Aquatic System Designer and Life Support System Engineer’s temperature control requirements and space challenges. IAS is proud to announce our new INTEGRATED™ HEX-Series Filtration Systems (IFS) Featuring HEX™ Drum Filters, the ONLY Drum Filter with Direct Drive Gear Wheel (DDGW), as the central form of mechanical filtration. HEX™ Drum Filters represent the latest in microscreen drum filtration technology. The patented HEX BeeCell™ Microscreen utilizes nature’s own unique design to provide more efficient filtration than traditional filters. Advanced features included in the HEX™ Drum Filter are a culmination of 30 years of experience and development by aquaculture engineers and biologists. 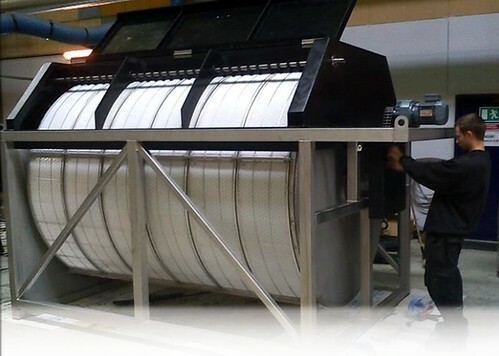 As a result, the HEX™ Drum Filter design has more flexibility and is more efficient with energy, water usage, cost and filtration capacity than traditional filters on the market today. These drum filters are maintenance free, have no corrosion, require no oil bath, are highly efficient and economical. 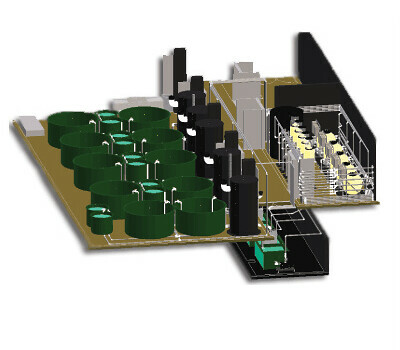 The system featured here has the F1-1T HEX™ drum filter and controls, along with pumping, UV disinfection, BioElement™ Biofilter, and an INTEGRATED™ pre-engineered sump. This system is electrically efficient using only 1050 Watts, and has a max flow rate of 176 GPM (depending on screen micron size). 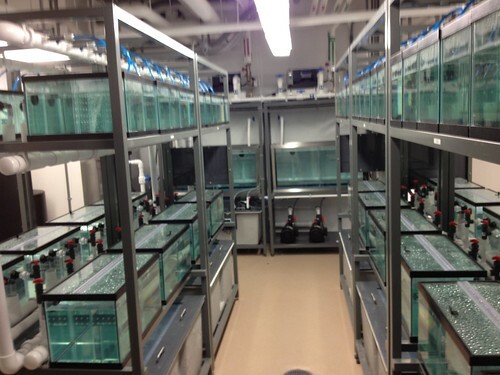 Options include: temperature control, water quality monitoring, and Ethernet accessibility. 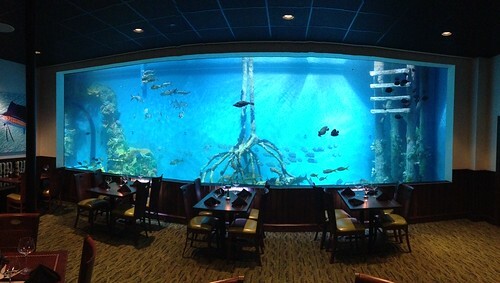 Contact us today to get more information and request a quote on the best system available for your aquatic filtration needs. 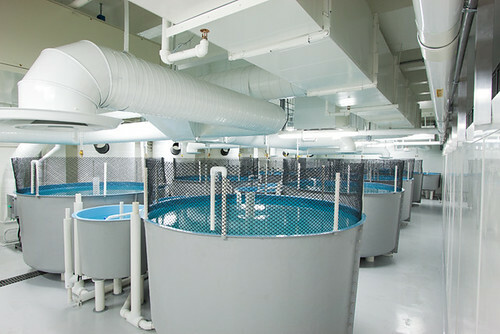 Integrated Aqua Systems, Inc. is committed to supporting the aquaculture industry as it strives to improve biosecurity in new and existing aquaculture facilities through providing the highest quality aquaculture UV disinfection equipment and systems. 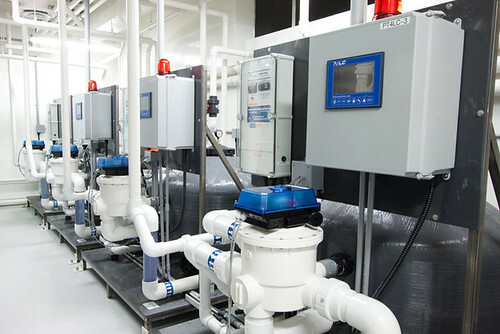 As an Authorized Distributor of Aquafine™ and TrojanUVLogic™ sterilizers, IAS offers commercial/industrial scale UV systems that are uniquely suited to meet the disinfection needs of fresh water incoming water disinfection and RAS systems. 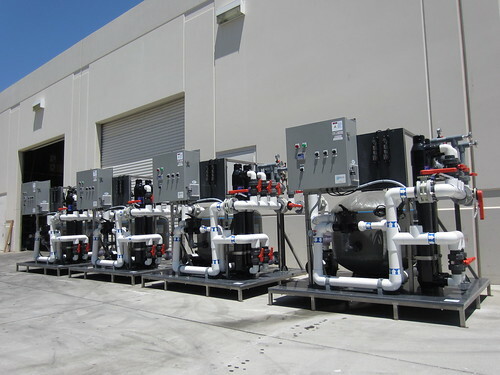 IAS can also combine powerful UV technology with mechanical filtration systems and pumping systems as a Systems Integrator, designed and built to your specific needs. Commercial-scale enclosed vessel UV sterilizers are offered in a complete selection with Optima HX™ Series and TrojanUVLogic™ Series. For larger scale, high-flow and/or high-dose applications, the Trojan UV 3000 series of open channel water sterilizers provide a cost effective solution. Trojan open channel systems feature amalgam lamps, optional Acti-Clean wiping systems, flexible channel arrangements and advanced electronics to fit the needs of any commercial/industrial application. For more information or to request a quote, contact IAS today.